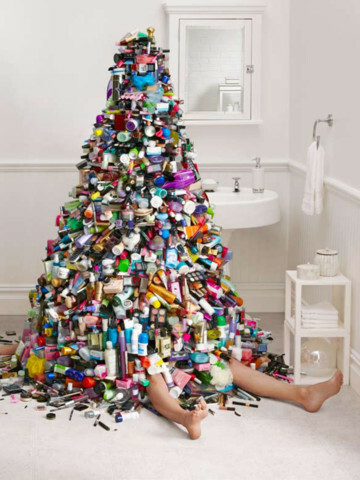 Maybe you're tidy, like this. We're celebrating our 10-year anniversary with a fun contest every month this year. To start 2015 off right, we know there's product out there for everything... curly hair, flat hair, thin hair, bouncy hair, full hair, lush hair, red hair, blonde hair... on down the drain. We feel your pain, we've all suffered from the overflow. 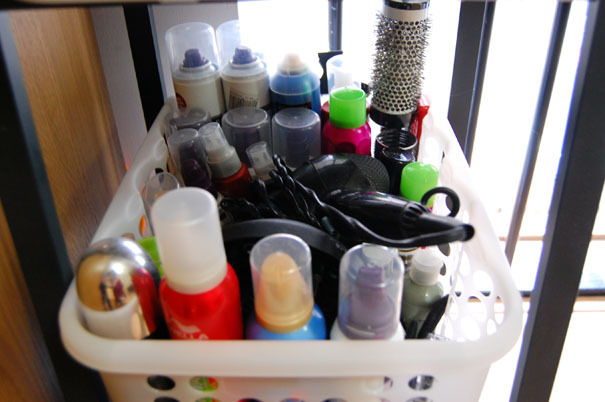 Take a stand against Kitchen Cosmetology... send us your best pix of product proliferation. We'll pick our favorites and raffle off a gift certificate for the best... er, worst Shelfie! Drop us a line in the comments section. Tweet it, Instagram it, or have your mom Facebook it. Ombre or Sombre: What's the difference and how do you know what's right for you?